It was a bit surprising really, especially because of the calibre of the rest of the girls in the leadership group. SARAH Lampard may only be 21 years of age, but she is a ready-made leader. 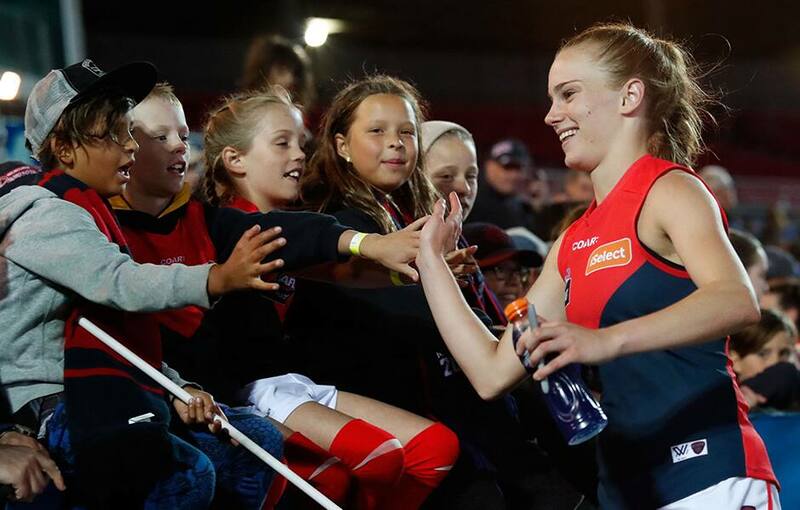 The Demons defender was announced as vice-captain of Melbourne’s AFLW side prior to Christmas in a move that took her by surprise. “I can’t say I expected it to happen, but I was pretty honoured to be voted in from the group and to get that feedback that they saw my qualities as good qualities to lead,” Lampard told Melbourne Media. While Lampard is quite young to be in a leadership position, she is ready to embrace the challenge ahead. “Obviously they’re just happy with the qualities I bring to the group, so if they’re happy with where I’m at now and what I can add to the group, then I’m happy to be in this leadership role,” she said. “I see that I can still develop as a leader and this isn’t my end game. The much-loved defender displays numerous qualities which made her a standout candidate for the vice-captaincy, which she shares with Karen Paxman. Lampard has a unique ability to communicate effectively across the board and connect the entire team. “I’ll continue to work with the people around me in the backline, continue that communication with the other lines and continue empowering those around me,” Lampard said. And with some young talent being added to the squad, she is in an ideal position to guide her teammates through any challenges. “One of the things I can add to the leadership group is I’m a bit younger and I can probably relate to those younger girls a bit more,” she said. Lampard has encountered plenty of misfortune, suffering an anterior cruciate ligament injury during the 2018 AFLW season. But with a positive attitude throughout her entire recovery, Lampard has used her time away from the game to grow. “I think it’s just helped develop me as a person – I’ve become a lot more resilient,” she said. With the season quickly approaching, Lampard has received the tick of approval to partake in the practice matches and prepare for a Round 1 hit-out. “I actually came back into full pre-season training,” she said. “It was kind of a weird feeling because I felt like I had just had a break over winter and then came straight back into it. “It’s weird to think a few months ago I couldn’t run; or couldn’t walk not too long ago. Melbourne’s first AFLW game for 2019 will be played against Fremantle at Casey Fields on Sunday, February 3.